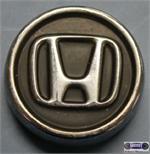 3098, CENTER CAP USED, 15", 93-94, LINCOLN, CONTINENTAL, POLISHED, WITH ENGRAVED LOGO IN CENTER. METAL CAP & METAL CLIPS, 6-1/2" DIA. 4511a, CENTER CAP USED, 93-99, CADILLAC, DEVILLE, Seville. METAL CHROME FINISH, WITH LEAF LOGO, 5 PLASTIC CLIPS & WIRE RING, 7" DIA, FOR A 16", ALUM 32 RIB RIM. A=CHROME LOGO B=GOLD LOGO. 68633a, CENTER CAP USED, 85-94, SUBARU, LOYALE, XT, PASS, METAL CAP, LOGO IN CENTER, 4 SETS OF METAL CLIPS, 4" DIA. 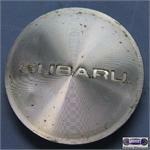 68633a, CENTER CAP USED, 85-94, SUBARU, LOYALE, XT, PASS, METAL CAP, LOGO IN CENTER, 4 SETS OF METAL CLIPS, 4" DIA. ALSO FITS 68663 COME IN DIFFERENT COLORS A=BLACK B=BLUE C=BRONZE D=LARGE CAP WITH OUT BLACK RING. 69790, CENTER CAP, '00-'01, VOLKSWAGEN, PASSAT, METAL CAP, BLACK BACKGROUND, CHROME LOGO, 4 METAL CLIPS, 2-1/2" DIA. 69790, CENTER CAP USED, 00-01, VOLKSWAGEN, PASSAT, METAL CAP, BLACK BACKGROUND, CHROME LOGO, 4 METAL CLIPS, 2-1/2" DIA. FOR A 16", RIM.